I was amused to see the new Ladybird book series for adults takes a wry look at our current passion for Mindfulness. 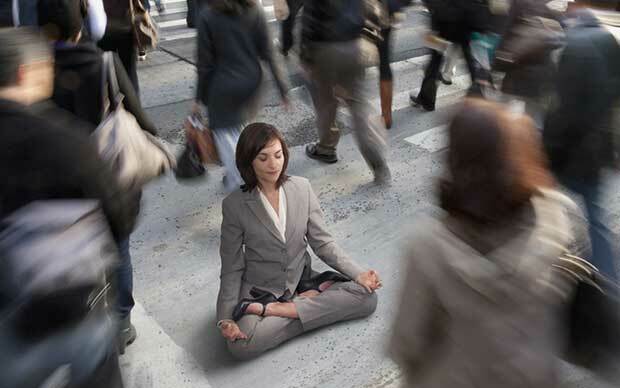 It claims Mindfulness is something where “you get to do a lot of sitting down”. When I was commissioned to write the Mindfulness Journal I wondered, indeed, if it was just another fad. I did a lot of reading, and discovered that we are adopting parts of what has been handed down for thousands of years by the Buddhists and others who have concentrated on training their minds to impact on the state of their bodies and spiritual well-being. The word ‘Mindful’ and ‘Mindfulness’ is being banded around all over the place today, but if you take a moment to read some of the wonderful books and manuals that have been written about it, you will find a common thread. It is all about being in the moment. And actually, that is one of the hardest things to do. Especially today, when we are distracted 24/7 by everything and everyone. I was asked to write a book which was to enable us, in everyday life, to become Mindful. In the Post Office queue, in a traffic jam, when the kids are screaming, when you can’t sleep at night. Well, I had meditated for the past 20 years, so wouldn’t that be easy? Not so. Mindfulness is at once simple and actually quite complicated. The main art is to decide to do it first of all, and then to do it, daily, regularly, sometimes more than once a day. In The Mindfulness Journal (Pan MacMillan), (wonderfully illustrated by Marcia Mihotich), I describe the need to let go of all those stresses and strains that we all feel when we are in a situation that is beyond our control: waiting for the train that is delayed, or being in a traffic jam. It is important to slow down, to breathe, and to notice your surroundings. Mindfulness is definitely a ‘switch’, a way of turning off the anxiety and stress, and turning on something calmer, more centred and relaxing. I have to remember to do it myself, when I wake up in the middle of the night, panicking about a deadline, or worry that I am late, on a train, stuck in a tunnel. The bigger issue is understanding that continued cortisol and adrenalin, pulsing through our veins, and all our accompanying stress-fuelled behaviours, is what leads to poor health. By consciously becoming Mindful, we can lower our pulse rates, and calm our minds and become more present. That is surely something worth learning in this over-crowded, over-heated, over-pressured world?